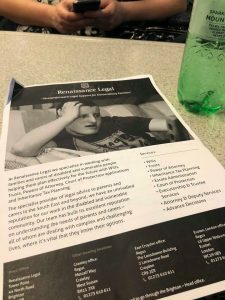 Back in April 2018, I wrote about an eye-opening conversation I had with a legal professional about the steps I need to take to protect my disabled son after I die. 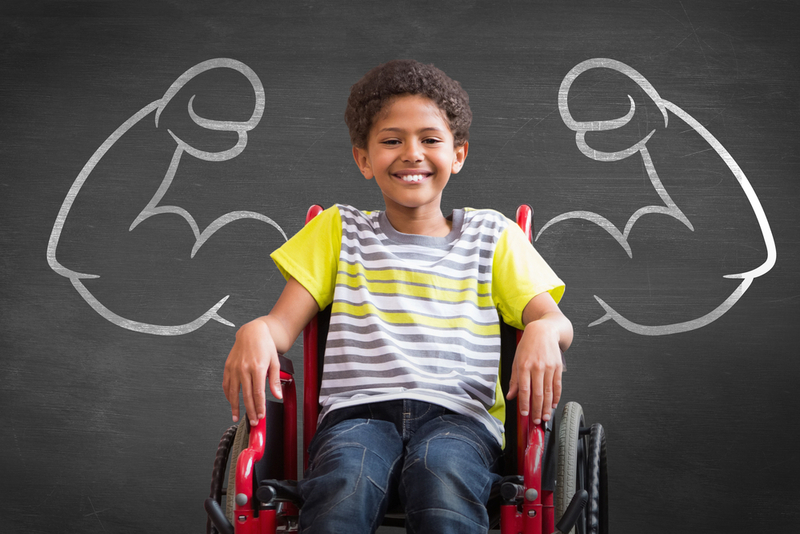 When you are a parent of a child with disabilities or significant additional needs, thoughts about what will happen to them after you die haunt your days and nights and it’s very easy, and understandable, to push the worries to the back of an already very busy and exhausted mind. In some ways, the conversation I had earlier this year, added to my fears as I found out that the will I had written would actually leave my son even more vulnerable and hamper his practical and financial care. But at the same time, Philip, the legal professional I chatted with, gave me lots of advice and some positive steps that I could take to ensure that Harry was safe once me and his Dad were no longer around. This month (November), that’s exactly what my ex-husband and I did. Today, I want to summarise the seminar in a way which may help other parents feel less anxious about getting the correct advice and strongly encourage them to do so. I want to make it clear that I am in no way a financial or legal advisor and that these are purely my notes on a fantastic few hours but I do hope that they help. 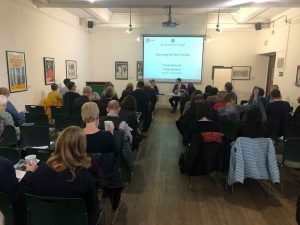 I also want to say that I am in no way affiliated to Philip Warford or Renaissance Legal who hosted the seminar and I am not being paid for this blog post but I did think his advice and expertise was incredible. The seminar started with the common issues that I covered in my first blog; the fact that children and then adults with disabilities are incredibly vulnerable to fraud, coercion etc when they lack the capacity to make significant decisions around money. Any monies that may be left to them could also affect the means-tested benefits that they receive and so it’s important that provision is put into place to ensure that this doesn’t happen. The day also looked at the reasons why its really not a good idea to leave the money for your child to someone else such as their sibling. Although this sounds like an easy solution to quite a complex issue, the conversation covering reasons such as bankruptcy, death, divorce and family fallouts made it very clear to us that leaving Harry’s money to Oliver was simply not an option. Phil also discussed the issue of where children will live after we are no longer here. I have to say that even thinking about this made me feel a little sick and very emotional but again, the practical advice was fantastic. Research the types of housing that are available (Sense Charity have a great toolkit called ‘When I am gone’ that you should download for more info) and find examples that you really like. This isn’t to arrange for your child to move out but to give an idea to those who may organise their care in your absence about your preferences and aspirations for your child. You may absolutely love an assisted living arrangement 100 miles away but not want your child that far away from family. Nevertheless, this would give people a great idea about what you do like and want and would hopefully give you some peace of mind about the kind of provision that is available. Phil then covered why it is important to make a will (as well as explaining the differences between executors and trustees) and gave more information about the reasons why a standard will is fine for typically developing children, the difference between wills and trusts and the importance of setting up a trust fund alongside a will. A trust fund needs three entities to qualify as a trust; a beneficiary (the child or vulnerable adult), assets (such as property, cash, savings etc) and trustees (the people who manage the trust deed) What a trust fund ensures is that the beneficiary is provided for but doesn’t have the enormous responsibility of the finances. It also means that their means-tested benefits are not compromised and the issues of capacity and vulnerability are protected. There was also really interesting information about the roles and responsibilities of the trustees (me and Mark initially). For example, it would be up to the trustees to make the most appropriate decisions for the beneficiary such as, should a house be bought for the beneficiary to live in or is it better to sell a property to invest for them and pay for other things. They are also responsible for investing assets (or seeking advice), completing an annual tax return, working with the Local Authority, reviewing benefits, annual ongoing responsibilities and more. Although the enormity of this task seems huge, the seminar was run in conjunction with Mencap who offer some incredible support in these areas and we didn’t come away feeling concerned at all. Phil then spent quite a while explaining the different kinds of trust funds that are available and explaining why a Life Interest Trust is not the type that families like mine need. There are two other types to consider, a discretionary trust and a disabled persons trust (which is the type we will go for) but you do need advice to choose the best one for your family. Phil illustrated the differences by using a fictional family and explaining the different ways that each trust would impact the assets left to the beneficiary. Although it’s far too complicated for me to summarise here, it made perfect sense in real life terms and I don’t think I would have understood it anywhere near as clearly if I had simply researched the differences online. One thing that was incredibly clear is that setting this kind of trust fund up shouldn’t be left to a general legal advisor. It is extremely complex and regulation needs to be understood and practice kept up with changes. Gathering enough information for the professional to best advise you should take at least an hour before any documents are drafted so don’t expect to pay £300 for a document that will protect your child forever. After attending the seminar we came away in full agreement that we would only use a legal expert who knew this type of law well and acknowledged that we would be paying more for this expertise than we would a standard legal procedure. And rightly so. The future of our children is far too important and detailed for a cheap and brief appointment to ever cover so please do your research! One way is to ensure that they are qualified ‘Society of Trust and Estate Practitioners’ (STEP). Mencap also has an approved lawyer list which you can call them on 0207 696 6925 to receive. I can’t speak for all lawyers but I know that Renaissance Legal offer payment plans if families don’t already have the funds and I am sure other professionals will have similar things in place. Phil went through how to prepare for the initial meeting and what to expect. He also mentioned the Child Trust Fund which was a government savings account opened for children born after 1st September 2002. 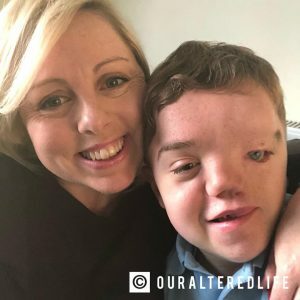 The funds are locked away until the child is 18 at which time it goes directly to the child, an issue which will cause issues for children like Harry. There is a very important petition running at the moment which you can read about and hopefully sign too! Overall the day was exhausting but incredibly informative and helpful. 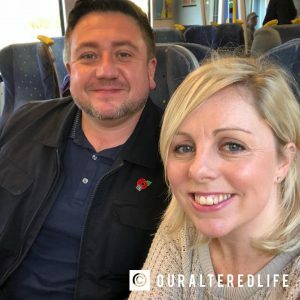 At one point, Phil asked the question “If you dropped down dead today, would your child be safe?” and the answer for my own son was “no” so as difficult as it is to think about these things, we came away from the seminar with a plan for the next steps and feeling weirdly excited and positive about it all. We now know the exact things we need to do to protect our son and are looking forward to putting some plans into place. Olivia is just turning 10 and is our youngest child. We also have a typically developing 16 year old son, Harry as well. Olivia was slow meeting all physical and cognitive milestones and we knew really quite early in babyhood that she was falling behind. 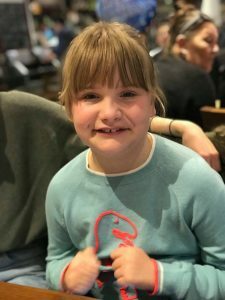 For a long time, she was classed as having global development delay with a severe speech and language delay but as she has become older, it has become apparent her development is more disordered and so we expect to receive a formal ASD diagnosis, hopefully before transfer to secondary school. We all know she’s has ASD, it’s just not formally labelled yet! She also has some medical issues, particular gastric ones and more recently some renal concerns, but these are being managed, although she endures a great deal. Since she entered KS2 she has been in a wonderful special school for children with speech and language disorders and she has flourished there. Like a lot of girls with ASD she presents fairly atypically in that she is not prone to meltdowns, doesn’t suffer particularly with anxieties etc. But she does sensory seek, struggles with attention and really struggles with social communication and so on. She is an absolute delight though and absolutely everyone adores Olivia! She is easy to love! Laid back, smiley, joyful and like a lot of our special children, she absolutely lives in the minute. She doesn’t worry about yesterday, she doesn’t worry about tomorrow and as long as her needs are met now, she’s as happy as Larry! (Whoever he is!). I think we could all learn a great deal from children like her! Obviously she continues to come on in leaps and bounds, but at the moment, we cannot picture that she might be able to lead an independent life as an adult so increasingly our concern has been how we can manage her future best, especially after we are gone. A particular concern of ours is that she mustn’t be a “burden” or a “problem” for Harry. We cannot expect him and his future wife to be her full time carer; it is simply too much to ask. (Unless they want to of course!) So we know that we must put in place arrangements to make her future financially bombproof and appropriate as possible. Something you once said in a blog about Oliver really struck a chord with me and that was that you wanted him to care but not to be a carer. You absolutely articulated what I had been thinking! What was your understanding of trust funds for Olivia before Mark went to the seminar? To be honest, we hadn’t thought about it much. We had the government child trust fund and to be honest, we’d been pleased to get it when she was born because they were introduced literally weeks after Harry was born and so he missed out! We had no idea that it was anything other than a great savings device for her. What he gained from going? Mark found the seminar to be a real eye-opener. We had no idea about the problem with the child trust fund and the massive impact it might have on her benefits in the future. He realised the provisions in our wills needed more specialist attention than most regular solicitors would be able to provide as well. What provision did you have before the seminar and how did you change the provision afterward? Obviously, we had the child trust fund and our will and Mark has always given thought to how our investments and so on would go towards giving Olivia the financial security she will need as an adult without us. However, we were not savvy to the problems, despite being financially aware, well-educated professionals! It’s quite scary actually how unaware we were and how little advice there is and how much support is needed. If we didn’t know, I’ll bet 90% of other parents in our position don’t either. So the first thing Mark did on coming home was to stop the child trust fund payments. And as soon as we can arrange it we will seek the advice of a specialist solicitor to ensure our wills are correct and to set up a trust fund that will meet Olivia’s needs. What advice would you give to other parents in our position? In the first instance attend the free Mencap seminar. It was very informative with excellent support materials. Make sure you stop paying into the child trust fund and get specialist financial and legal advice. And spread the word! I fully intend to bring this up at Olivia’s school where all the parents are in the same boat.